Jack J. Eggspuehler, founder of the National Association of Flight Instructors and a member of the Flight Instructor Hall of Fame, served as president of the association for more than 30 years. The award named in his honor is presented to an individual or organization making a significant contribution to flight instructors, flight instruction or aviation education. 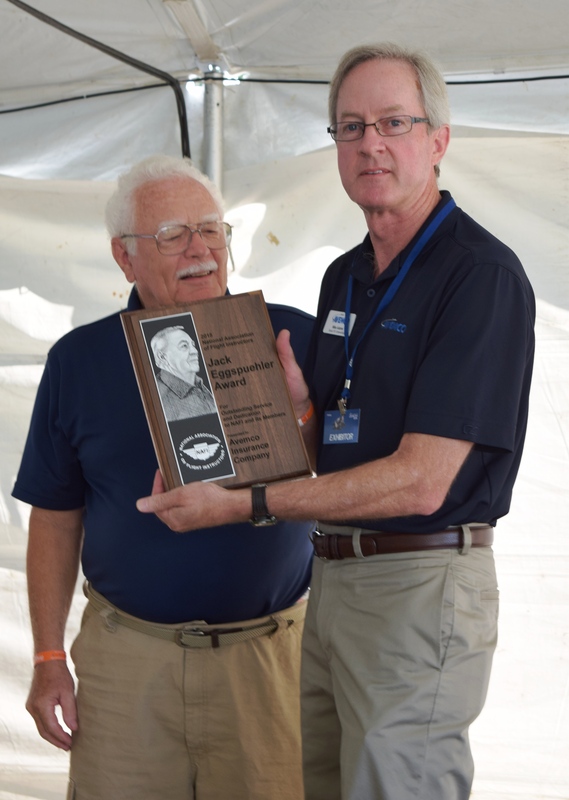 This award must be voted on by the NAFI Board of Directors by two thirds majority and is traditionally awarded at the annual NAFI Member Breakfast at EAA AirVenture. Avemco has been insuring CFIs and other pilots for over 50 years, and created and underwrites the NAFI CFI Insurance program, with advantages available only to NAFI members. You have the option of purchasing coverage for the select type aircraft you instruct in. And NAFI members with a helicopter endorsement can add rotorcraft liability coverage for most single-engine piston-powered helicopters. Avemco has been a long-time supporter of NAFI and its members. Chris began his aviation career in 1983 in Janesville, WI. After flying for a local charter operation, he moved to the Chicago area where he became a corporate pilot for a Fortune 100 company. 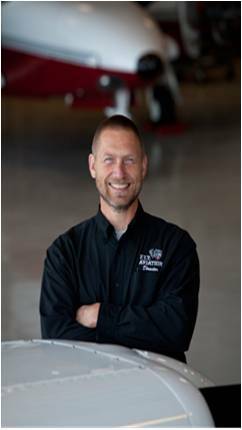 Chris moved back to Wisconsin in 1999 to work for Midwest Airlines and became a Master CFI and Designated Pilot Examiner with the Milwaukee FSDO. Chris is now once again working in corporate aviation. Since earning his flight instructor certificate in 1986, Chris has expanded his certificate to include six of the seven ratings. With over 18,000 hours of flight experience in a wide variety aircraft, he is able to provide training and check rides for multiple certificates and ratings. Currently based out of the Southern Wisconsin Regional Airport, Chris is willing to travel to meet his customers' needs. He has authored several articles and has published The Multi Engine Flight Training Guide. When not flying, Chris can be found eating, sleeping or wiping bugs off an airfoil! Tim Lemke was fascinated with airplanes and aviation from the time he was a small child, growing up on a dairy farm near Green Bay, Wisconsin. He began pursuing that aviation interest in his mid-twenties by earning his private pilot’s license in 1976. Lemke continued his training by obtaining an instrument rating in 1985, followed by a commercial pilot’s license in 1987 and the flight instructor license in 1988. Lemke now has accumulated over 5200 flight hours including more than 4200 hours of dual instruction given and has recommended more than 75 pilots for practical tests. Lemke is the current president of the Winnebago Flying Club based at Wittman Field Airport in Oshkosh, Wisconsin, a position he has held for the past dozen years. He is also a representative for the FAA FAASTeam and a member of the National Association of Flight Instructors, the Aircraft Owners and Pilots Association, and the Experimental Aircraft Association. 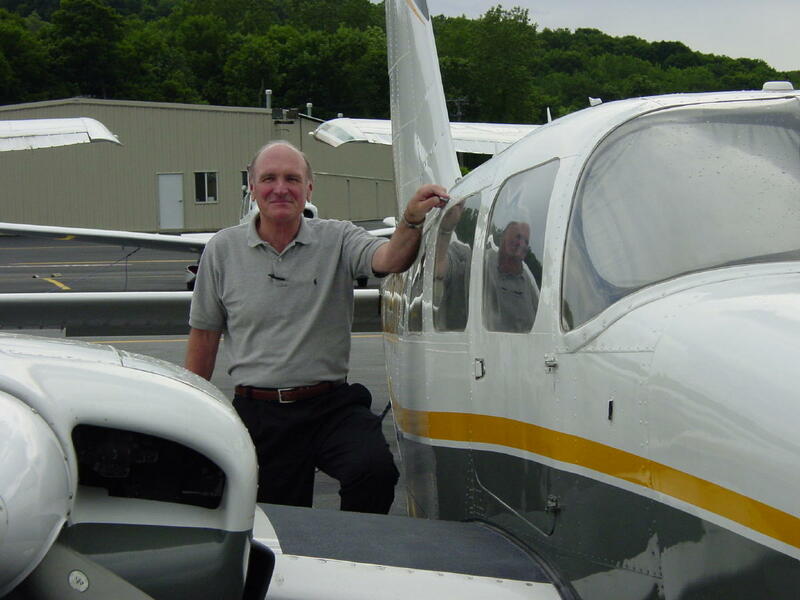 Lemke serves on NAFI’s Master Flight Instructor Board of Review. Lemke retired from Gulfstream Aerospace Corporation in 2011 where he was the manager of the Manufacturing Engineering function at Gulfstream’s Appleton, Wisconsin facility. He has a Bachelor of Science degree in Industrial Arts Education from Stout State University. Lemke continues to be very active with flight instructional activities at both the Appleton and Oshkosh Airports. He specializes in primary and instrument instruction and also provides tailwheel instruction and specialized instruction for the Garmin 430/530 GPS. Wallace Moran started his aviation career as a general aviation flight instructor; he later worked in the airline industry as a simulator and aircraft instructor and a FAA check airman on many airline aircraft including the Boeing 747 and 767. He also spent many years in airline management as training supervisor, chief pilot and VP of Safety and Engineering.He has always been active in the general aviation area as an airplane owner and flight instructor and has given over 4000 hours of flight instruction in general aviation airplanes and gliders. Wallace currently works as a FAA Designate Pilot Examiner, independent flight instructor and FAA FAST team member. 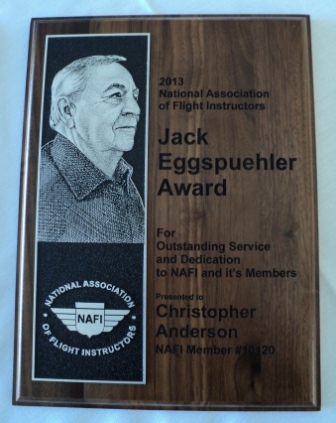 He is a long time member of NAFI and has been a NAFI Master CFI since 2001. Wallace lives in Summerville, SC. Greg Laslo is an award-winning magazine writer, advertising copywriter, and editor. He has been a pilot for 16 years and has written about aviation education, flight training, and flight instruction for more than a decade. He’s former editor of NAFI Mentor, the magazine of the National Association of Flight Instructors, as well as a contributing editor to EAA Sport Aviation magazine. In addition, he’s written for Flight Training, Avionics News, Aviation International News, and Twin & Turbine magazines, as well as a variety of non-aviation publications on topics ranging from scuba diving to wine. Laslo is a graduate of the University of Missouri School of Journalism and lives in Kansas City, Missouri. Mr. Thomas P. Poberezny, Tom was President of the EAA from 1989 to 2011, and Chairman of the Board of the EAA from 2009 to 2011. 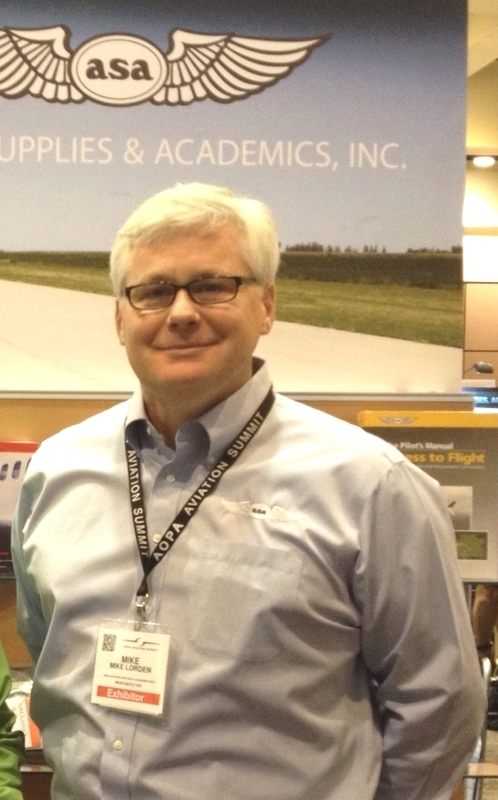 Mr. Poberezny has been Chairman Emeritus of the Experimental Aircraft Association (EAA) since 2011. He is an accomplished pilot and respected advocate for all segments of the aviation community. In 1975, he became Chairman at EAA AirVenture Oshkosh, developing a strategy that made Oshkosh a global event. Mr. Poberezny is an experienced pilot and was the 1973 U.S. National Unlimited Aerobatic Champion and was a member of the 1970-1972 Aerobatic Teams that represented the United States in world competitions. Mr. Poberezny was also a pilot member of the Red Devils/Eagles Aerobatic Team from 1971 to 1995. Mr. Poberezny was a member of the board of directors of the Oshkosh branch of US Bank from 1985 to 2006. Mr. Poberezny developed and implemented numerous programs that have had a major impact on aviation, including the creation of Young Eagles, which has become the most significant youth initiative in aviation history. He spearheaded the implementation of the Sport Pilot License and Light Sport Aircraft Category, making licensure more affordable for pilots. He serves as Member of Advisory Board of Jet Support Services, Inc. He has been Director of Garmin Ltd. since May 20, 2010. Mr. Poberezny held a bachelor's degree in Industrial Engineering from Northwestern University and also received an honorary degree from the Milwaukee School of Engineering. Since day one in 1984, Cirrus Aircraft has been committed to the future of aviation through smart safety, ease of operation and most adamantly, continuous innovation. Along the way, every turn has meant challenges and opportunities to grow general aviation–improving the flying experience as a whole. Our mission is to deliver an aviation experience that is the pinnacle of innovation, quality and safety to our customers. 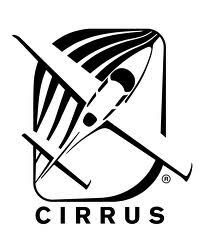 We are proud that today, after 30 years of dedication, the Cirrus brand is associated with the accolades and hallmarks that mean so much to us: safety, performance, comfort and sophistication. Our line of all-composite personal aircraft-–the SR20, SR22 and turbocharged SR22T–lives up to this by incorporating advanced performance, electronic and safety technologies including Cirrus Perspective by Garmin avionics and the unique Cirrus Airframe Parachute System (CAPS). When you become a Cirrus owner, you aren’t merely taking up a hobby, you are choosing a whole new lifestyle full of freedoms, choices and responsibilities unlike anything else. Our owners reflect our standards; they demand the most cutting edge technology, innovative standard safety features, impressive interiors and exhilarating performance abilities. Together, we are devoted to these passions. We’ve traveled far, but in many ways, we’re only just taking off. Join our family of owners and become a part of the future today. Marion C. Blakey is president and chief executive officer of the Aerospace Industries Association. AIA is the most authoritative and influential voice of the aerospace and defense industry, representing more than 150 leading manufacturers, along with a supplier base of nearly 200 associate members – the largest membership in AIA’s 94-year history. Ms. Blakey became the eighth full-time chief executive of the association in 2007. Before that, she served a five-year term as administrator of the Federal Aviation Administration. As FAA administrator, Blakey regulated the nation’s airways as well as operated the world's largest air traffic control system managing 44,000 employees and a $14 billion budget. During her tenure, the traveling public experienced the safest period for air travel in the United States' history. She also was a tireless safety advocate internationally. Blakey instituted solid business practices at the agency that resulted in more than 97 percent of the agency's major programs coming in on time and on budget. Under her leadership, she launched the Next Generation Air Transportation System − the shift to a satellite-based system that will modernize air transportation and decrease delays. Prior to being named FAA administrator, Blakey served as chairman of the National Transportation Safety Board. During her tenure, she led a number of accident investigations, including the 2001 crash of American Airlines flight 587, dealing with both the highly technical aspects of the investigation as well as the highly charged public interest in the accident. Blakey improved the Board's accident reporting process and strengthened its advocacy and outreach programs to promote safer travel throughout all modes of transportation. Including her service at the FAA and NTSB, Blakey has held six presidential appointments, four of which required Senate confirmation. From 1992 to 1993, Blakey served as administrator of the U.S. Transportation Department’s National Highway Traffic Safety Administration, which regulates the automobile industry. As the nation's leading highway safety official, she was charged with reducing deaths, injuries, and economic losses resulting from motor vehicle crashes. Prior to her service at NHTSA, she held key positions at the Department of Commerce, the Department of Education, the National Endowment for the Humanities, the White House and the Department of Transportation. From 1993 to 2001, Blakey was the principal of Blakey & Associates, now Blakey & Agnew, a Washington, D.C. public affairs consulting firm with a particular focus on transportation issues and traffic safety. Ms. Blakey serves as chair of the International Coordinating Council of Aerospace Industries Associations. She also serves on the boards of directors of Alaska Airlines, Noblis, the nonprofit science, technology and strategy organization, the NASA Advisory Council and is Vice-Chair of the President's Export Council Subcommittee on Export Administration. Born in Gadsden, Ala., Blakey received her bachelor's degree with honors in international studies from Mary Washington College of the University of Virginia. She also attended Johns Hopkins University School of Advanced International Studies for graduate work in Middle East Affairs. She is a member of Phi Beta Kappa and has received a number of honorary degrees and awards. Nick Frisch, the Executive Director of F.I.T. Aviation, brings to his post more than 20 years of experience in aviation management and education. Frisch oversees flight training and operations at the Emil Buehler Center for Aviation Training and Research. He is also an instructor in the Florida Institute of Technology College of Aeronautics. Prior to joining the Florida Tech team, Frisch was Director of Aviation Education for Galvin Flying Services, where he managed two flight schools in Seattle and Honolulu. From 1999 to 2007 he was flight school manager and chief flight instructor for that company. He has also been a program manager and an instructional technologist for FlightSafety International, where he created and implemented classroom and simulator training programs for the FSI/Beech/Raytheon Learning Center. In the early years of his career he was an instructor at the Beech Aircraft factory and for FlightSafety International as well as a government contract analyst at Beech. 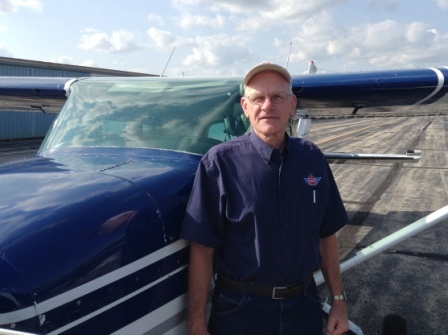 He has been designated four times as a Master Instructor by the National Association of Flight Instructors (NAFI). Frisch earned a Bachelor’s degree in Aviation Management from Wichita State University in Kansas in 1984 and commercial pilot certification in 1982. Established in 1968, FIT Aviation, LLC is a wholly owned subsidiary of Florida Institute of Technology and an integral part of the College of Aeronautics. We support the aviation program using the latest in FAA publications for guidance and a very diverse fleet of 38 aircraft, providing pilots with a powerful safety culture, outstanding airmanship, and service excellence as they move forward from private pilot certification through ATP. F.I.T. Aviation also maintains and rents aircraft, offers communication backup for NASA launches, and supports Hubbs-SeaWorld Research Institute in marine surveys. Patricia Luebke has worked in the general aviation community for forty years. She began her aviation career as an advertising assistant at Flying magazine. Her first GA airplane ride was a trip to the once-fabulous Reading Air Show. She worked her way up the corporate ladder eventually being named a vice president of the company which publishes Flying. She launched out on her own as a writer/media consultant in 2002. Long a supporter of flight schools and flight instructors, she is the former editor of Flight School Business. 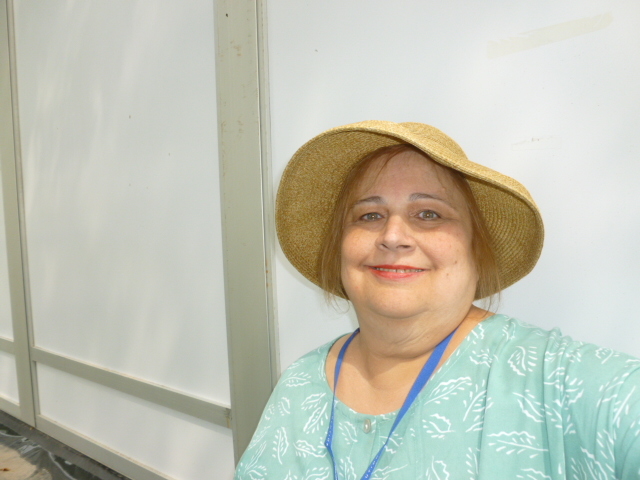 She has a regular column in Aviation for Women (Women in Aviation’s membership magazine); contributes to each issue of Avionics News, and has assisted Sporty’s in their media relations program for the past 20 years. In addition, she works for AOPA, EAA, Lightspeed Aviation, Aspen Avionics and others. She lives and works in Manhattan. She received her award from then-FAA Administrator Marion Blakey during EAA AirVenture, an event she has not missed since 1978, at a NAFI breakfast and spent the rest of the day showing off her plaque to anyone who would look.